The best way to get a rustic decoration in your kitchen is with the help of this salt and pepper shaker kit with tray. You will love the shape of this two plump owls. Lovely foxes come to your kitchen in the form of salt and pepper shakers. There is nothing more cute to decorate your kitchen in a beautiful and original way with animals. Porcelain tray included. 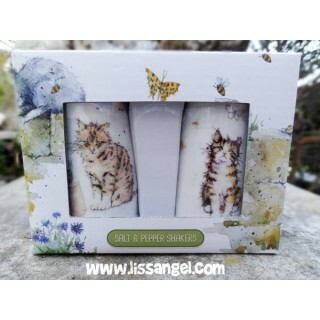 Nice design drawings inspired by cats designed in UK, adorn this original animal kit salt and pepper shakers. 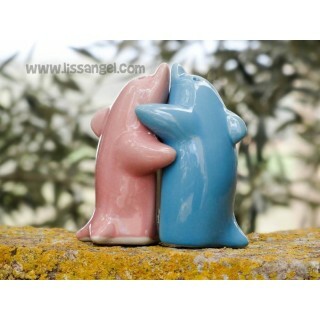 Some fun to your table with this set of salt and pepper shakers shaped like a dolphin giving a tender embrace. Made of ceramic, this salt and pepper shakers have rubber stopper at the base for filling. Decorate your kitchen with our original salt and pepper shakers. Salt and pepper shaker in the form of happy cows, if you joint them they are given a funny hug. 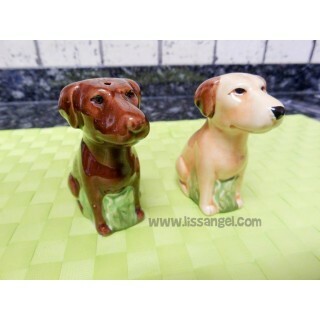 Original salt and pepper shakers with dog shape, model inspired by the labrador retriever breed. Make a nice gift to a dog lover. This salt and pepper shaker is perfect for dog lovers, especially german shepherds lovers. A beautiful detail for them. An alternative to the boring classic salt and pepper shakers. 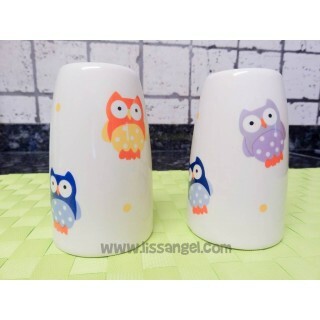 With this salt and pepper shaker with drawings of fun and colorful owls, you will bring color and fun to your kitchen. How about decorating your kitchen with two pretty owls? 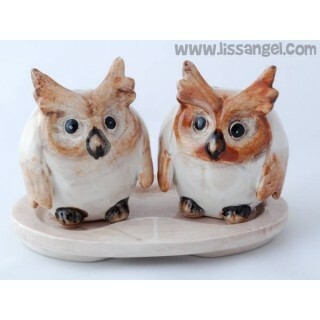 Now you can with these original salt and pepper shakers matching, shaped like elegant owls. The best way to spice up your food. 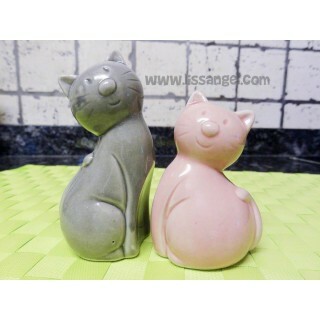 This salt and pepper shaker in the shape of happy and funny cats will be happy to give flavor to your food. The everyday kitchen objects do not have to be boring. Renew your salt shaker and pepper shaker and get yourself a pair with animal form, originality assured. They are also an ideal gift.